The California State Assembly on Tuesday voted 43-32 on a bill that aims for 100 percent renewable energy by 2045, one of the nation's toughest clean energy mandates. Should the bill become law, California has to entirely transition away from fossil fuel electricity in less than three decades. Utilities would also have to get 50 percent of their energy from solar, wind or other specific renewable sources by 2026 and 60 percent by 2030. The legislation requires the state to slowly transition away from natural gas, which is California's top electricity source. Climate change will create a devastating new normal in California of intense heatwaves and destructive fires if nothing is done to curb emissions, a new state report finds. California's fourth-annual Climate Change Assessment finds that large fires like this summer's record-breaking Mendocino Complex and Carr fires will increase 50 percent by 2100 and burn 77 percent more land under a business-as-usual emissions scenario. Amid record wildfires devastating the north and an unusual October heatwave scorching the south, conditions in California right now are a perfect snapshot of our ever-warming world. As California Gov. 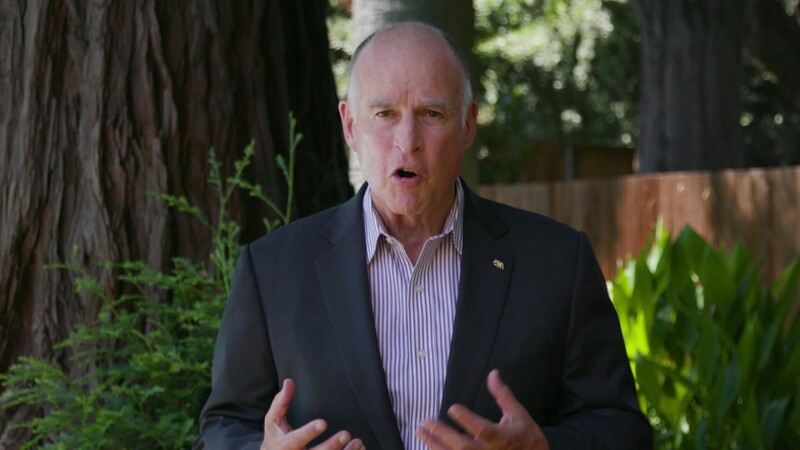 Jerry Brown said an interview with BBC's Today program on Tuesday, "Climate change is occurring, global warming is occurring, California is beginning to burn up." With aid from easing winds, the 11,000 firefighters beating back the Northern California wildfires are making "good progress," as the number of major blazes dropped to 15, the state's fire agency Cal Fire announced Sunday. But as Cal Fire noted‚ "Sadly, the death toll has risen to 40 people."